Kajstaden is a central residential neighborhood near the water in the Öster Mälarstrand area of Västerås, Sweden. 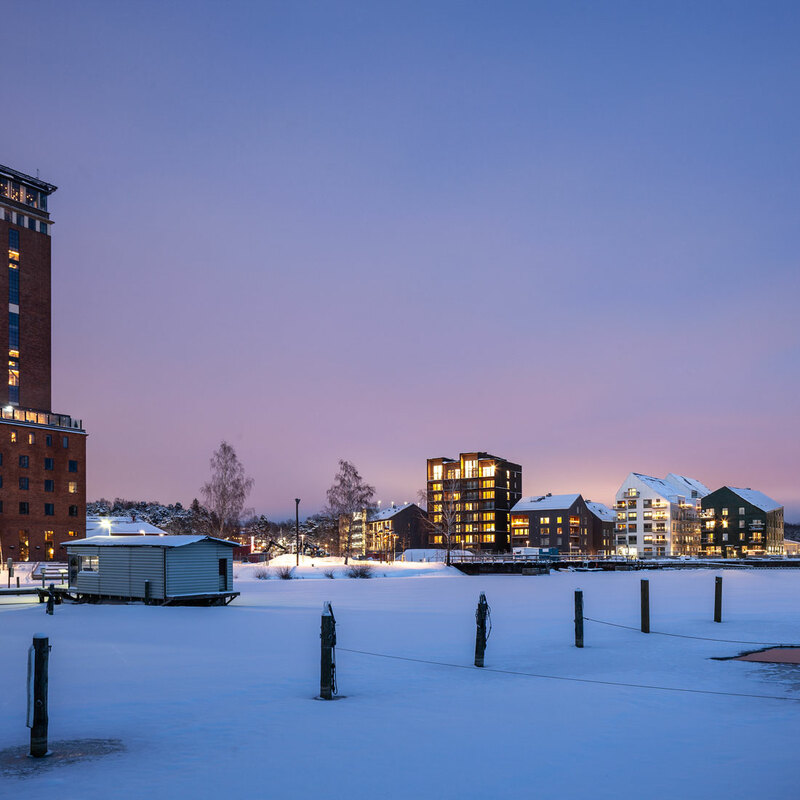 The new neighborhood is designed as a city block and is a natural extension of Västerås city center. The area includes Mälarparken and Notuddsparken, which link together to form a cohesive green area. The neighborhood has a generous view of Lake Mälaren and is located directly adjacent to the square and the quayside promenade. The concept includes an electric boat sharing scheme and a special chilled room in the lobby for food deliveries from MatHem. 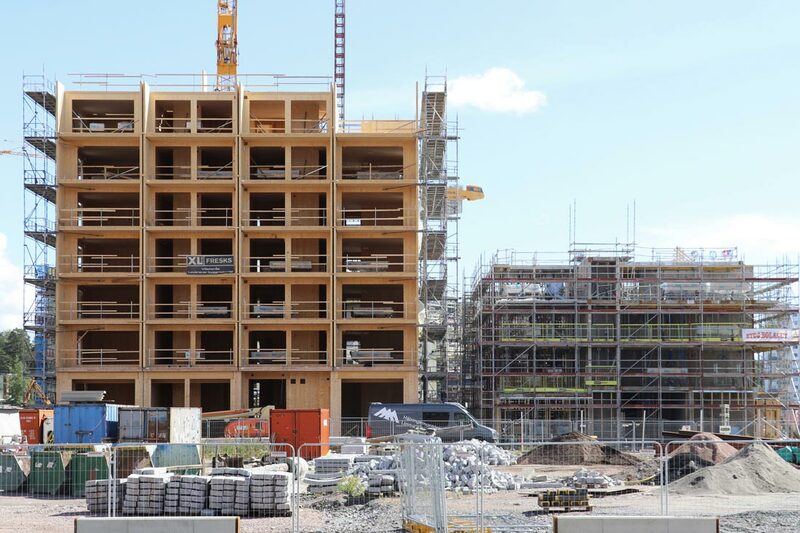 The housing being constructed is comprised of 99 flats, built in stages. 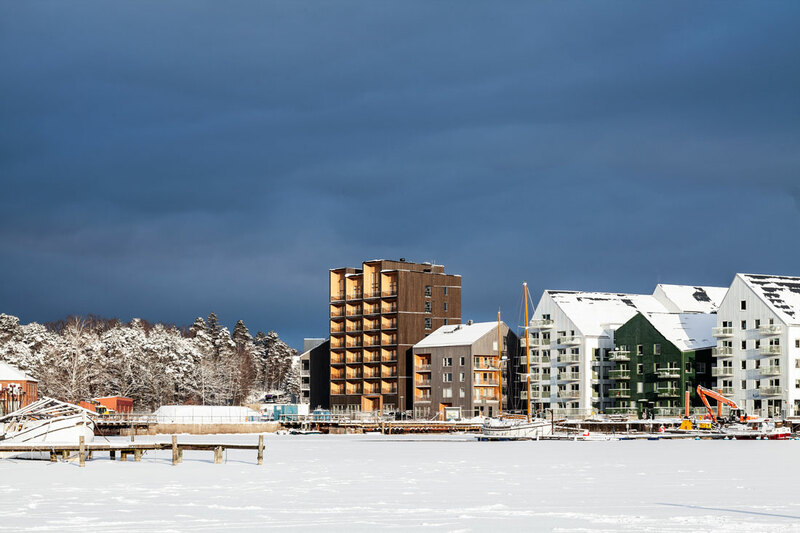 In its entirety, the local plan for Öster Mälarstrand contains about 700 flats with marinas for recreational boats, which will be connected and integrated with new residential developments. 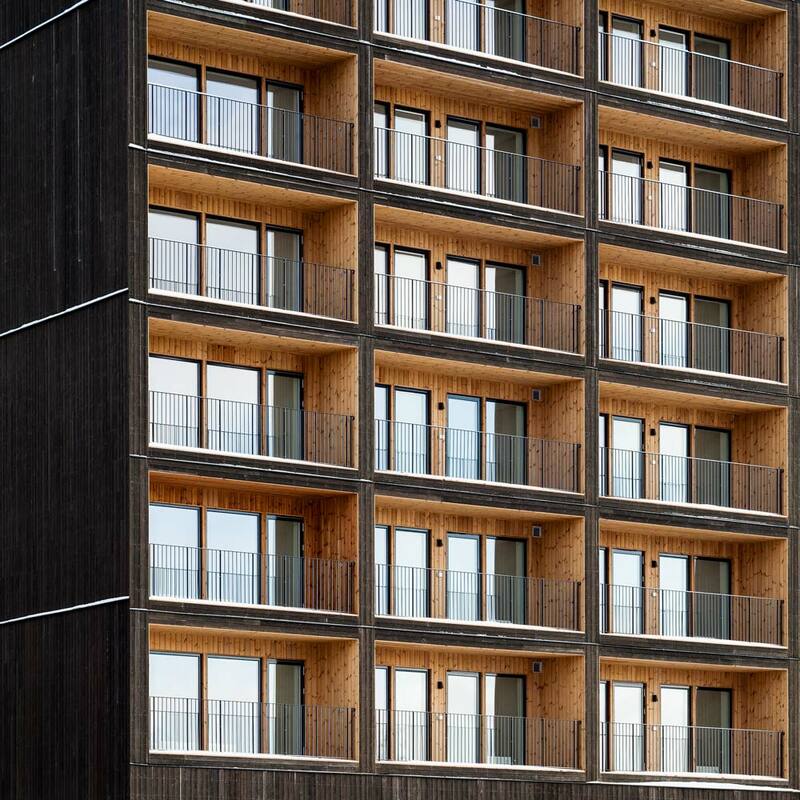 The neighborhood includes, among other things, a nine-story apartment building constructed with a frame made entirely of massive wood. The load-bearing walls, beams and elevator/stairwell shafts were built using cross-laminated wood. 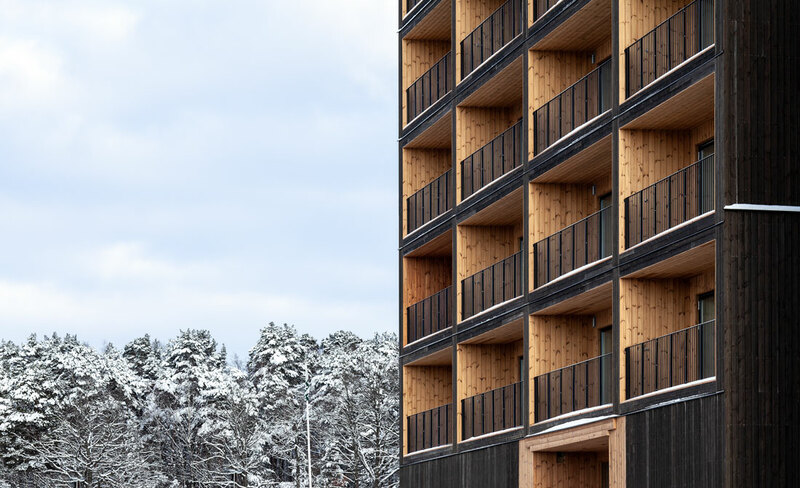 With renewable and sustainable timber construction, the neighborhood will have a positive impact on the environment and, over time, the overall life-cycle perspective. Research shows clear health benefits and qualities for people living in homes with wooden frames. 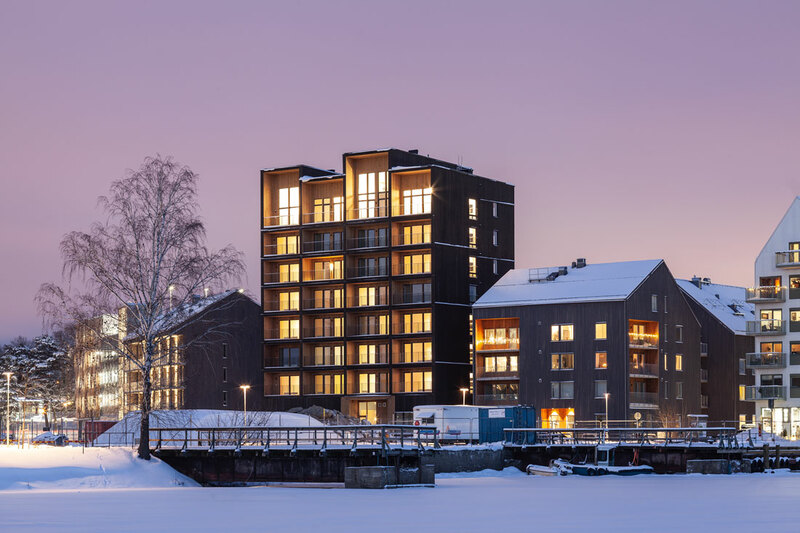 Kajstaden is one of the tallest buildings in Sweden with a solid wood frame, and the ongoing construction process clearly shows the advantages of building with modern wood technology. C.F. Møller Architects developed the project in close collaboration with Slättö Förvaltning and Byggbolaget.